Tokyo Electric Power Co (TEPCO) said it won’t be able to process the radioactive water stored at the crippled Fukushima nuclear plant by March, as the operator had promised earlier. The company’s president said the delay is due to technical problems. "We took the promise with the prime minister very seriously, but we cannot fulfill our commitment. The problem of toxic water is the biggest source of concern for the local residents and we are extremely sorry to be unable to keep our word," said TEPCO's president, Naomi Hirose at a meeting with Takayuki Ueda, the Japanese Agency for Natural Resources and Energy commissioner, as quoted by Kyodo news agency on Friday. "At our current pace we will complete it by mid-May," he added. TEPCO has been battling the contaminated water problem since the Fukushima Daiichi nuclear power plant was damaged following an earthquake and tsunami on March 11, 2011. The catastrophe was the world’s worst nuclear disaster since Chernobyl in 1986. Three of the plant’s reactors suffered nuclear meltdown. The water used to keep the reactors cool is tainted with radioactive material and has been since leaking and mixing with groundwater seeping through the premises. Currently 280,000 tons of contaminated water is stored in tanks on the premises of the crippled plant. It poses a risk to the safety of the decommissioning work, said the Nuclear Regulation Authority (NRA) chief in December, adding it must be decontaminated and dumped into the ocean. On Thursday, a TEPCO spokesman said the company will suspend the decommissioning of the crippled nuclear reactors in order to complete safety checks. “The most important thing is to thoroughly conduct safety checks,” Tepco spokesman Shinichi Kawamura told a news conference in Fukushima. He didn’t specify how long the checks would take. The decision comes after two Fukushima workers have died in recent days. On Monday, a subcontractor at the plant fell into an empty storage tank. He died in hospital. On Tuesday, another subcontractor died during a concentrator inspection. 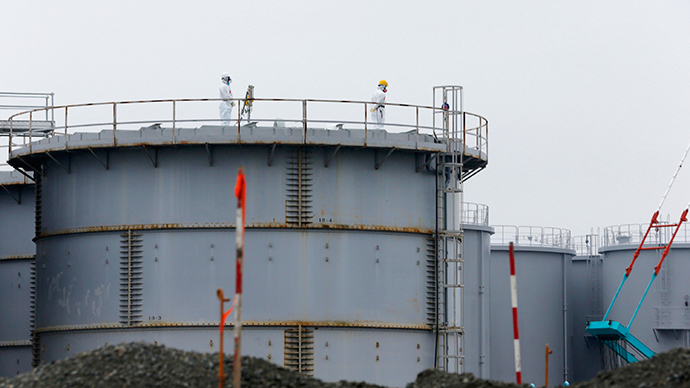 TEPCO plans to pinpoint unsafe places and revise safety procedures. Meanwhile, Japanese prosecutors said three former TEPCO executives won’t be charged over the handling of the 2011 nuclear catastrophe. "We conclude there is not enough evidence to suggest that TEPCO executives could have predicted or could have avoided (the accident)," said Ryoichi Nakahara, deputy chief prosecutor of the Tokyo District Public Prosecutor's Office on Thursday. This appears to contradict last year’s investigation by the Japanese government, which stated the main cause appears to have been a human factor.